​Chamber is our advanced SSAA choir. 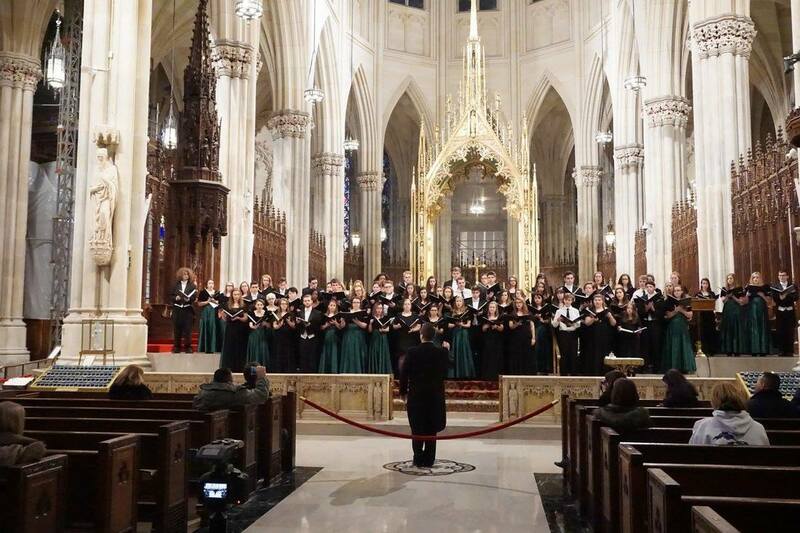 They sing a wide variety of collegiate level choral music. Emphasis will be placed on correct vocal production techniques for a healthy voice and clear tonal quality. Music reading, sight-singing, and ear-training skill development begun in previous choirs will be continued along with instruction in music theory and history. Selected pieces will be prepared for concerts. 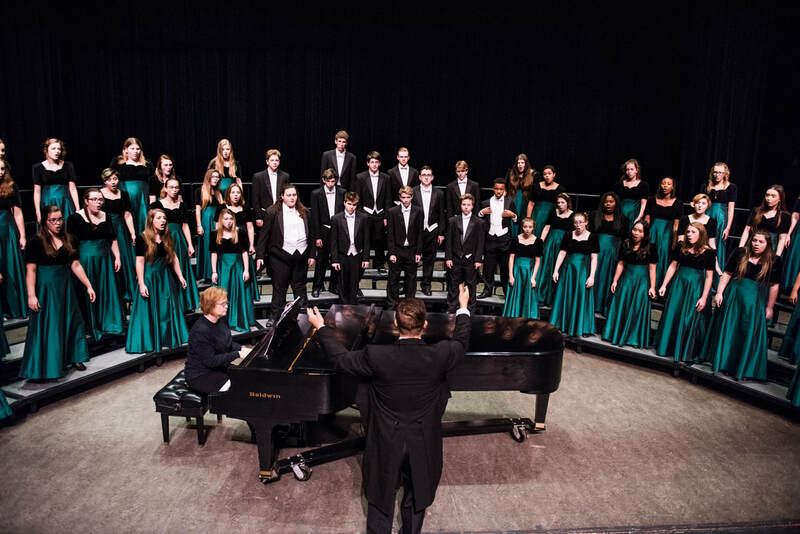 In addition, the Chamber Choir will participate in the MSVMA District and State Choral Festivals, and District and State Solo & Ensemble. Chorale is our most advanced mixed choir. It is comprised of students grades 10-12 who have successfully auditioned for the group. 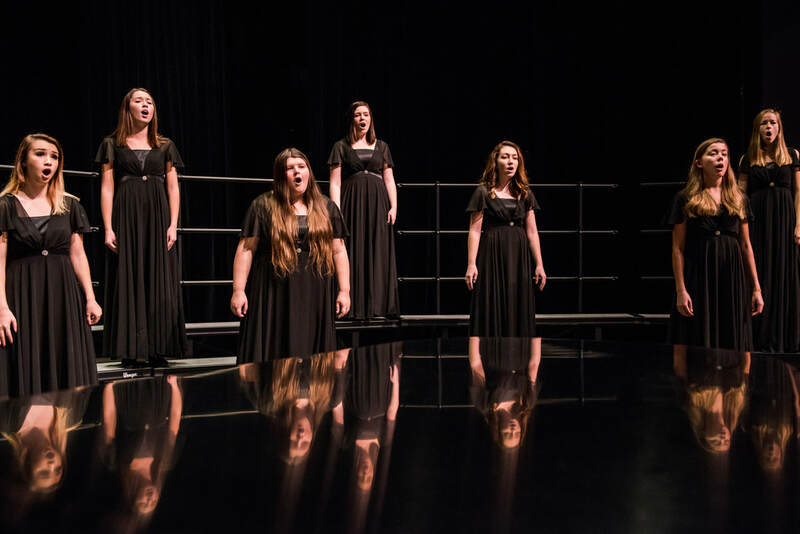 Chorale will sing a wide variety of choral music appropriate for high school vocal development in four-part SATB harmony. Emphasis will be placed on correct vocal production techniques for a healthy voice and clear tonal quality. Music reading, sight-singing, and ear-training skill development will be continued along with music theory and history units. 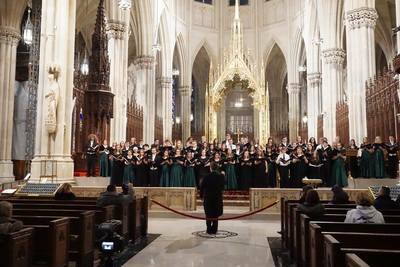 The choir will prepare pieces for concerts throughout the year. 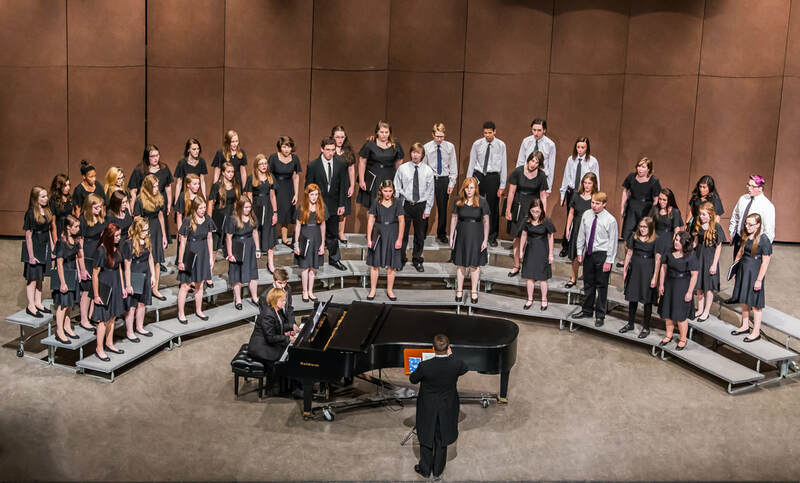 In addition, they will participate in the MSVMA District and State Choir Festivals and District and State Solo & Ensemble. 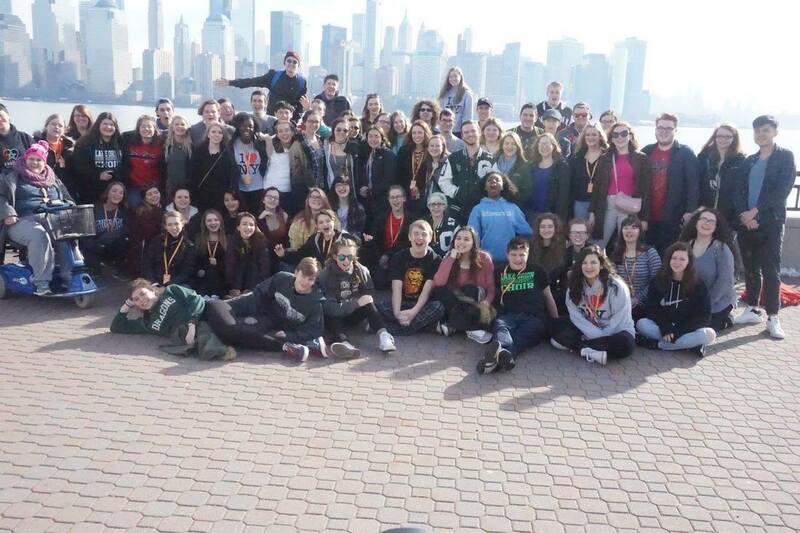 Campus is the mixed choir that is comprised incoming freshman and returning leaders grades 9-12. They learn a wide variety of choral music appropriate for high school vocal development in four-part SATB harmony. Emphasis will be placed on correct vocal production techniques for a healthy voice and clear tonal quality. Music reading, sight-singing, and ear-training skill development will be continued along with music theory and history units. The choir will prepare pieces for concerts throughout the year. In addition, they will participate in the MSVMA District and State Choir Festivals and District and State Solo & Ensemble. Bryce Thompson is committed to music making at the highest level while developing a culture in which his students value the process, value the product, and value each other. Mr. Thompson serves as the Director of Choral Activities at Lake Orion High School. At festival, his choirs consistently receive “Excellent” ratings, often with “Superior Distinction.” Mr. Thompson’s choirs strive for musical excellence by applying attention to detail and by internalizing the music they perform. 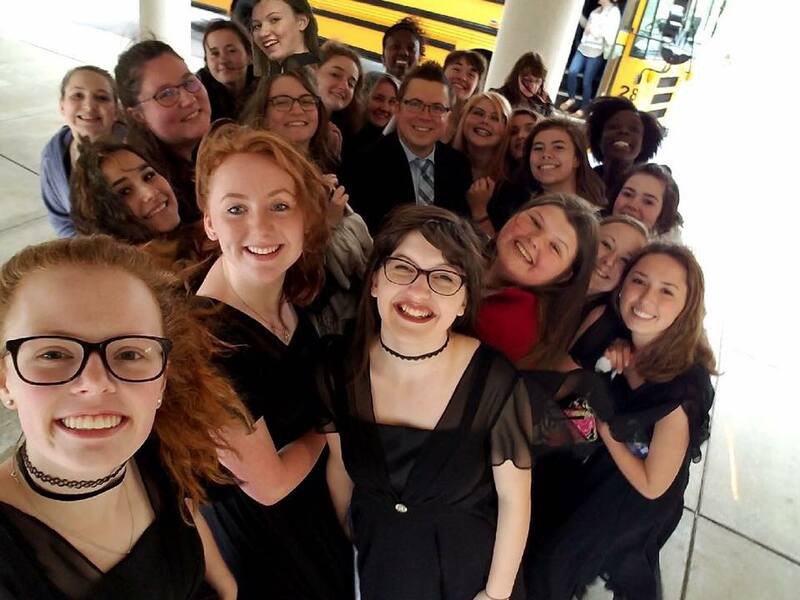 Before coming to LOHS, Mr. Thompson taught at Oakview Middle School where all of his choirs received excellent ratings and performed at MSVMA State Festival each year. He is one of the co-founders of the “Dragon Select” Honors Choir Program and founded the vocal groups “Oakapella” and “The OakFew” as well as the video editing group “V.E.R.V.E.” during his time at Oakview. Mr. Thompson also served as the Music Director for Clarkston High School’s musicals “Beauty and the Beast” and “Peter Pan.” In addition to teaching secondary choral music, Mr. Thompson has taught elementary general music and secondary band. He teaches private lessons in voice, trumpet, piano, and guitar. Mr. Thompson holds a Bachelor’s degree in Music Education with dual emphases of Choral and Instrumental Music from Indiana Wesleyan University. During his final two years at the university he was selected to be the Assistant Conductor of the Indiana Wesleyan University Chorale under the direction of Dr. Todd Guy. Mr. Thompson’s post-graduate studies include choral conducting with Dr. Jerry Blackstone, Dr. Mary Hopper, Dr. Julie Skadsem, and Dr. Eugene Rogers at The University of Michigan and Dr. David Rayl and Dr. Jonathan Reed at Michigan State University. He recently earned his Masters Degree in Choral Conducting at Michigan State University. His wife, Jenna, and four young sons, Micah, Liam, Elijah, and Theodore inspire him to be the best man possible while bringing him immeasurable joy. Cristine Tyrrell is in her 7th year as accompanist at Lake Orion High School. She has accompanied all 3 middle school choirs for over 20 years, has accompanied numerous band and choir solo & ensemble students and has served as accompanist/organist at her church since she was in the 8th grade. As an alumnus of Lake Orion High School, she believes it is a privilege to be able to make music with so many talented and wonderful students. Cristie attended Michigan State University and earned a degree in Personnel Administration. She is proud to have her two children be involved in both band and choir at Lake Orion High School. Halie Watt is in her 7th year serving as the Vocal Coach at LOHS. She graduated with a BA in music education from Albion College in May 2008. Halie was a two time winner of the Annual Concerto Competition at Albion (2004/2007). Her extra-curricular activities included membership in the music fraternity, Sigma Alpha Iota. Halie received her Masters of Music in Vocal Pedagogy from Oakland University in April 2012. While in attendance, she was a member of the OU Chorale under the direction of Dr. Michael Mitchell. Halie is an alumnus of the Lake Orion High School Choir program and is extremely passionate about seeing it succeed.